Bison offers the builder the option of constructing a stable and level deck on rooftops, damaged and unsightly concrete surfaces, or any flat surface where placing decking or supports directly on the surface is not advisable. 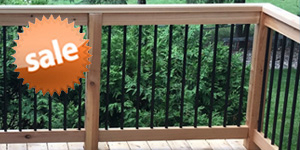 Bison Deck Supports work with many surface materials including Bison Ipe Deck Tiles, concrete, stone, and standard plank decking. 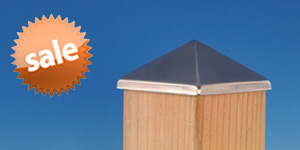 DecksDirect carries both the residential and commercial version of the Bison Deck Pedestals. These pedestals contain 20% recycled material and are made in the USA. 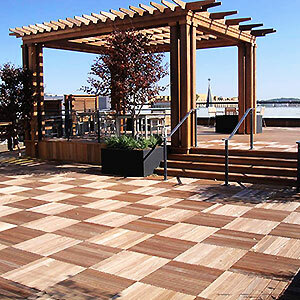 Why We Love Bison: With Bison pedestals, you can add a deck to a rooftop or on a cracked patio surface. Why Bison's Unique: Bison Pedestals are made in the USA! Why You'll Love Bison: Bison Pedestals are easy to install and everything can be shipped directly to your home or job site.